It is very important for parents that their babies and children look cute but also that the clothes they are wearing is appropriate for the weather conditions, this is true of bedding too. It is very important that you do not let your baby get too cold or too warm while they are sleeping, and also that they do not wriggle themselves under sheets and blankets, we have some great products to help with this. Here in the Baby Shop at WWSM we have a range of baby clothes, bedding, sleeping bags and wraps all perfect for your baby and children. These products have been divided into categories on shelves; please see below for a more detailed look at what we have to offer on these shelves. On the Baby Clothes shelf you will find a selection of cute baby grows and outfits from the Celebrity Kids brand. The Fleece Big Bear Hat and Mitt Set for little boys aged 6 -12 months is very cute too. We have products from Grobag on the Duvets & Duvet Covers shelf. The First Duvet is available in Cot Bed size and Single Bed size. They have been designed to use with the Grobag Stay-on Duvet Bedding Set. This wonderful product is an all in one duvet cover, bottom sheet and pillowcase set, perfect for when your child moves from a cot into a big bed. The Sleeping Bags shelf has the perfect alternative to babies kicking off their blankets during the night and so becoming cold and then waking up. Our Sleeping Bags are ideal as they come in sizes from new born up to 36 months old and different togs for summer and winter months. We have a selection from both Grobag and Zorbit. 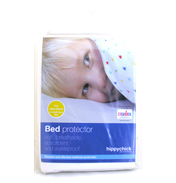 We all know that babies and children often have ‘accidents’ so the products on the Waterproof Sheets shelf are exactly what you need to protect their mattresses. 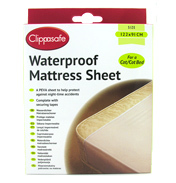 We have sheets available in pram, cot and single bed size from both Clippasafe and Hippychick. We really hope you enjoy looking at all of the baby clothing and bedding we have to offer here in the Baby Shop at WWSM and hope that you can find just what you are looking for.